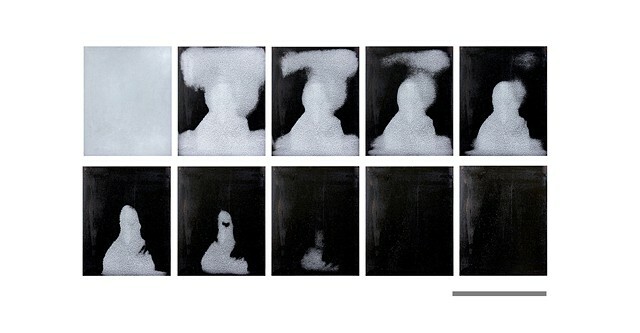 These impermanent photographs were created using the photosensitivity of frost. 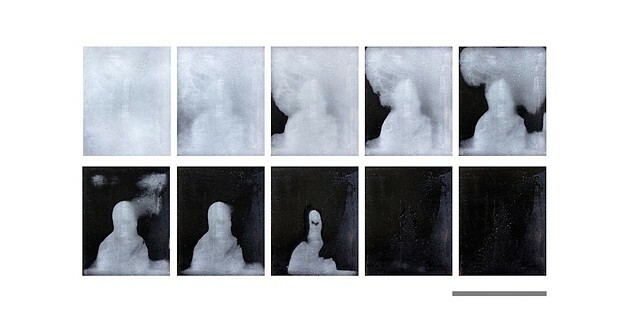 Using an original process, images were printed in ice and allowed to melt. The surface left behind is asphalt, the material used in the first photographic images.